I’ve been quiet on this blog for a bit, after a week-long trip to a conference for my day-job, and every single car I own needing immediate attention within the last ten days! I have material to share, but I need some time to prepare it. Meanwhile, though, I saw this great news tonight: Ben Swann is Back! Ben went quiet after his Pizzagate revelations a year ago, but now he’s back, partnered with DAO / Dash, and I expect to see great things from him in the future. He’s the only real investigative reporter you’ll find today. He is genuinely interested in the truth and he delivers the goods! May God bless you and keep you running on all cylinders! R320: Why Buy a Mercedes? This AWD minivan is our new efficient family hauler. I know, I know, it sounds crazy that the guy who used to be so practical-minded would buy a Mercedes, of all things. Please allow me to explain! For those who are new to this blog, I currently own four turbo diesel vehicles. Call me strange, but I love torque and I demand good efficiency in my vehicles. The result is that diesels make a lot of sense. People will point out a higher initial cost of these vehicles, but I never buy new vehicles and when you look at used machines the cost of a diesel, typically, is not much higher. Especially not when you take the longevity of these machines into account. Maintenance may be more expensive, but I do my own maintenance. My vehicles are my #1 hobby, so I enjoy maintaining them and I absolutely refuse to go into debt to buy a vehicle. There are some cosmetic imperfections, but this vehicle is mechanically solid and has a lot of potential. This post wouldn’t be complete without bringing up the current car market. Are you looking for a new car? I’m writing this in May of 2017, and Peter Schiff’s latest update included information about manufacturers seeing worse-than-expected demand for their new vehicles. This is especially notable when they were already expecting declining year-over-year sales figures. So, the decline is worse than they thought. Don’t let Janet Yellen or her minions at the Fed fool you: this economy is on the precipice and we are seeing cracks in our biggest three economic bubbles in the United States (homes, autos, and education). These guys are playing a con-game with our economy and their “data-driven” approach to managing the economy (something which Austrian Economics shows can’t be done) is creating a mess. 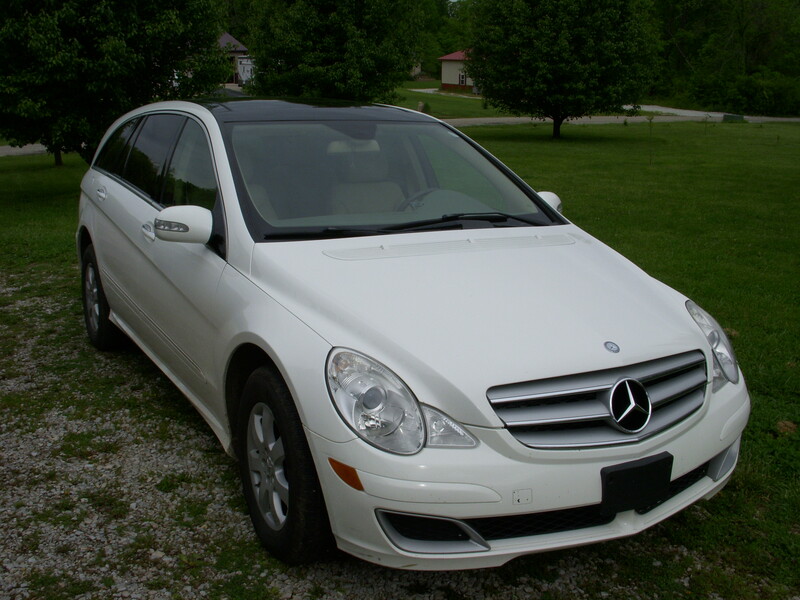 Without going further into detail on Austrian Economics (see Mises.org, or Contra Krugman, if you’d like to learn more), the bottom line is that lots of dealers have inventory sitting on their lots and now is a great time to find a deal. Further, that fact also affects the used car market and many used cars are ridiculously inexpensive right now. Given that I’m a person who prefers to stay 100% debt-free (yeah, I have a mortgage, but I’m working on that), this makes the capability that can be found in a used car a completely amazing bang-to-buck ratio! Spacious room for six, even the third row will comfortably fit somebody over 6 feet tall (though nobody in my family comes anywhere close to 6′). 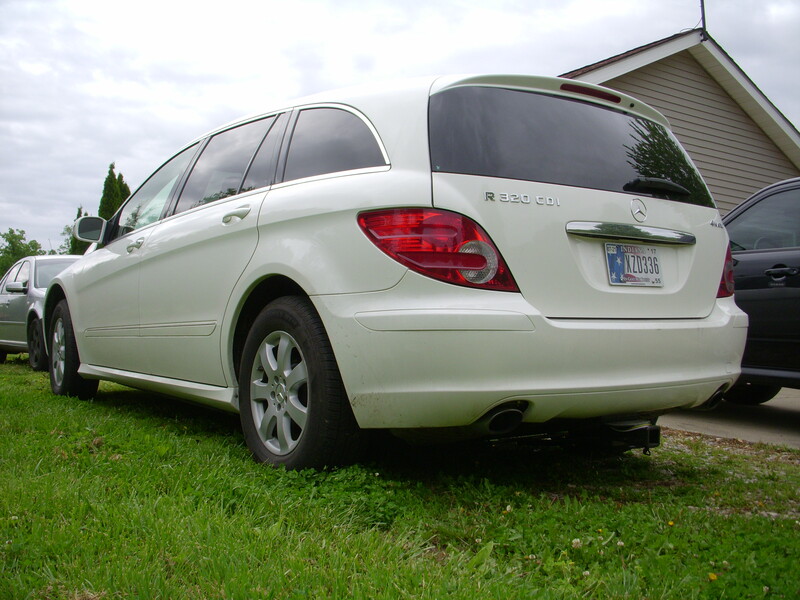 The same 3.0 OM642 V6 turbo diesel that is used in the Sprinters and a slew of other Mercedes-Benz vehicles. A common engine means that its strengths and shortcomings are well-known and parts won’t be too terribly rare. More on the engine: 398 lb-ft of torque! 4-matic. How many minivans have all-wheel drive systems? Combining this with the same seven-speed automatic and transfer case that are used in a number of other models, including the R63 500+hp fire-breathing R-class, the drivetrain ought to be bulletproof. The machine is EPA rated at 28 mpg highway. Depending on where you can find the information, the towing capacity is between 3500 and 4600 lb. Does that sound good enough? How about this: I found one with somewhat high mileage (145,000) for less than $7k. It has its scuffs, dings, and a number of issues that need attention, but this is an amazingly capable vehicle for the price. With classic Mercedes vehicles going 500,000 miles, I expect that this machine will also achieve a long life with some minor adjustments and modifications, along with proper maintenance. That leaves one more question: What about maintenance? Given the time and capability I’ve shown in doing the Suburban modification, I believe I can do what’s needed on this vehicle, too. Further, I’ve already purchased a knock-off SD Connect multiplexer and software, giving me the code scanning, reset, and recoding capabilities that the dealers have. Perhaps more, as the system I have includes Xentry with development mode and something called Vediamo, which is a development suite. So, that gives you a quick background on my latest project machine. I’ll follow this with posts about some of the work I’ve been doing. Meanwhile: may the Lord bless you and keep you running on all cylinders! I was westbound on I-70 just west of Indianapolis on Friday afternoon, talking with my father via Bluetooth, when I caught this on my dashcam. An Indiana State Trooper was in a hurry to get to a wreck … but that wreck could easily have been his or her own! Sign Up for Newsletters and Updates! Sign up here and you will get updates on new posts and an occasional newsletter. Your information will not be shared with third parties.